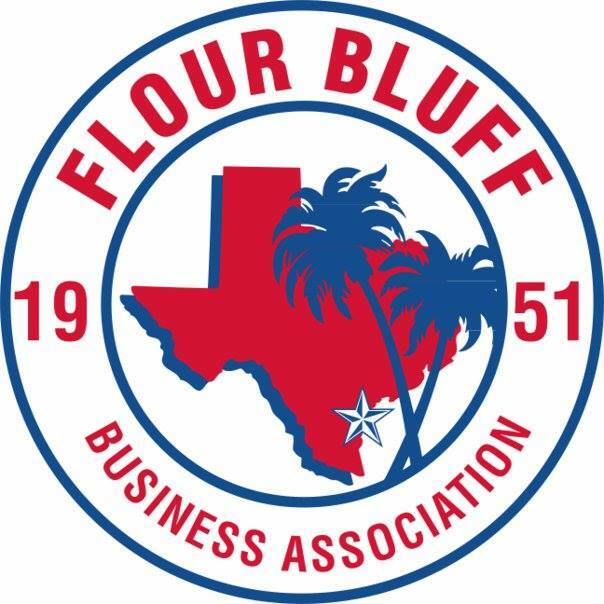 On Wednesday, November 8, 2017, at the regular monthly meeting of the Flour Bluff Business Association, District 4 Councilman Greg Smith shared what has been happening at the city level. The citizens elected Smith their council member last November. “I am a Flour Bluffian, Class of 1970, and the first person who actually grew up in Flour Bluff to be elected to city council,” said Smith. Smith cautioned people about thinking we would not have another storm for many years. He reminded everyone of the 1916 and 1919 storms of Carla, Beulah, and Celia that came within the same 9 years. “We need to take what we learned from all these storms and apply it to the future. The odds are we are going to have a storm much sooner than 47 years,” he said referring to the August 3, 1970, Celia that hit Corpus Christi directly. “I am going to be pushing for several things. One is our roofs and the composition shingles. Right now we’re required to have a 120 mph shingle that sells for $65 a square. For $75 a square, you can buy a 150 mph shingle. And, it will last nearly twice as long. Instead of a 30-year shingle, you’ll get a 50-year shingle,” said Smith. Smith spoke of how some of the local haulers had upped their prices after Harvey but took the time to point out the Matt Eckstrom of Killian Calderon Disposal, was not one of them. “I want to give a shout-out to Matt,” said Smith. “He is a good local citizen who didn’t take advantage of his customers.” Smith encouraged those in attendance to call on Eckstrom if they have need for his services. “Thirty years ago, all of our ad valorem taxes went to support our public safety, police and fire. Our sales tax went to the other areas. Today, all of our ad valorem goes to support police, and all of our sales tax goes to support fire. I’m not saying these are dedicated funds. We get $77 million in ad valorem, and our police budget is $77 million. Our fire budget is $52 million, and we get around $54 million in sales tax. Monies that were going elsewhere historically have gradually been shifted over to public safety. I think our fire and police have excellent people there, and we are understaffed, more so in the police than fire. We do have issues right now,” said Smith. Smith explained that increased evaluations did bring in extra ad valorem dollars. “That money went to satisfy our contractual obligations to our police and fire departments. We didn’t have anything left over at the end of the day. We received an increase of $4 million in ad valorem increases, but we had $4 million obligated to raises to police and fire.” He said that they are looking at different ways to address the issue. “To put one more officer on the force, it costs the taxpayers $125,000 for each officer.” If they increase by eight officers, it will cost $1 million. “Right now we have about 400 officers,” said Smith. “We have way too much debt, and we’re not in favor of that. This council, with five new members, is a much more questioning council than our last councils have been,” said Smith. “We’ve got to do better as a city, and we’ve got to bring our services in cheaper. For example, we have a wall behind the museum that needs to be re-built, and I agree with that. The estimate came in at $10,000 a linear foot for the 200-foot wall. That’s $2 million dollars. When we build the Packery Channel bridge and the approaches to it, it will cost $4,000 a linear foot, and I asked why we would do this. These are the kinds of things we’re addressing. The councilman addressed wastewater next. “It’s kind of a silent thing. We don’t often think about that, except maybe a couple of times a day,” Smith said, which was followed by a chuckle from the crowd. He addressed the consolidation of the treatment plans that has been debated for months, an expensive fix that Smith did not deem necessary. “All we have to do is repair and maintain what we have.” This direction will allow the system made up of six plants to work and meet regulatory standards without costing the rate payer $220 million dollars more than repairing the existing plants. “That comes out of our pockets, and there’s no reason for it,” said Smith. “We have instructed staff to move forward and fix the plants we have to make them fully operational and efficient.” This drew a round of applause from the audience members. Smith then addressed the water system. “Our peak year in water usage as 1989,” he said. “We are using about 30% less water today, and we’ve added two sources of supply. We have plenty of water. We are trying to make everyone aware of that, particularly industry.” Smith said that industry is a big consumer of water but there is still plenty. “We are moving forward on desalination even though we have water. We just authorized permitting for a desalination plant,” Smith said. “One thing this council will not do is build that plant until we have the demand. “However, we want to be ready in case we get a lot of industry come in, and we need the water.” Smith sees Corpus Christi as a frontrunner in desalination, which will make the city known to industry both nationally and internationally. Smith explained that the state loaned the $2.75 million for desalination, which must be paid back at no interest in eight years. “We will be adding a little to the industry rate since they’re the ones who really want this. We’re not going to put this on the ordinary rate payer,” Smith said. Smith then moved to the topic of streets. “The big one is streets, which is strictly a money issue. For residential streets, we have a program in place, and it’s funded to maintain the good streets,” said Smith. He explained that all streets in the city have been rated according to the PCI (Pavement Condition Index), a rating system of 1 to 100. “Any street with a PCI of 55 or above is on a funded maintenance program,” he said in reference to the SPMP (Street Preventative Maintenance Program) started in January 2014 and funded by the SMF (Street Maintenance Fund) to pay most of the construction costs. Streets that meet the 55+ requirement are eligible for maintenance work through either a seal coat or overlay every seven years. According to the 2017 SPMP Work Plan, Waldron Road, which has a PCI of 57 from Caribbean to Yorktown, will receive an overlay in 2017. “The next classification of streets, which a lot of the Bluff streets are, is PCI 35-55. We just approved $8 million dollars on addressing these streets,” said Smith. He explained that this program is based strictly on PCI rating and has nothing to do with amount of tax dollars collected from a particular area. Only one Bluff street will fall under this program. “I was disappointed to see that, but it takes a million dollars a mile. 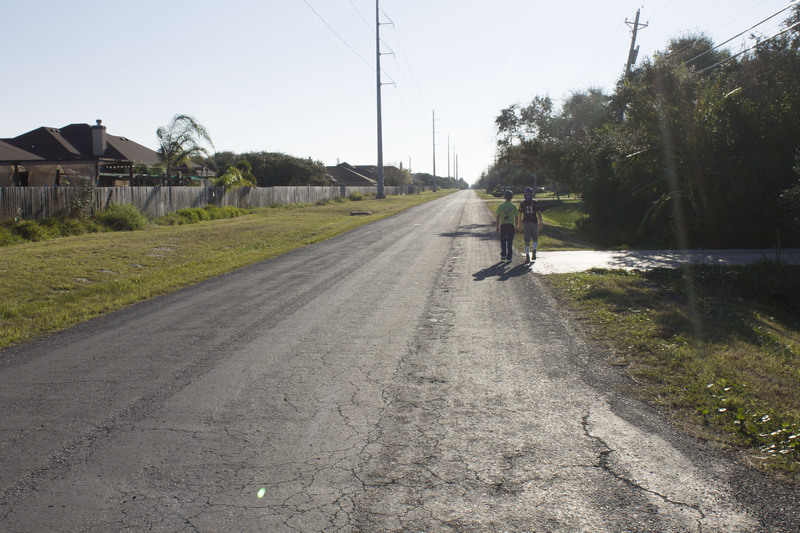 The City of Corpus Christi is going to recondition eight miles of streets city-wide,” said Smith. Smith later talked about the way that street repair is done currently. “We are repairing streets today the same we did 75 years ago,” he said adding that it is not the most efficient way of getting the job done. He said the city is testing a machine called an asphalt zipper that uses less labor, takes less time, and may do a better job than what the city street crews do now. “This machine does it all and has the proper tamping required to keep the asphalt in place,” Smith said. “That has definitely been the case in the past. With the newer subdivisions, the taps are now put in place before the paving begins. “This is something that affects us all, especially in the Bluff. The Flour Bluff Citizens Council and the Flour Bluff Business Association have done great work. I think if the city had done that, it would be terrific,” said Smith in reference to an FBCC Town Hall meeting on October 16, 2017, where the citizens were educated on the state of homelessness in Corpus Christi and Flour Bluff. “We are looking for a way to know where these folks are,” said Smith, referring to the proposed Coordinated Entry plan for the city, which helps keep track of the homeless as they move in and around the area. Smith said that the city is looking at helping reunite individuals with their families. Two other proposals include a work program and a housing program. “Personally, I think I have a lot of support on council with this. We have to be compassionate. People have issues that we have to help take care of. We have to take care of the people who need and want help,” said Smith. He added that in doing so that we be careful not want to create an environment where Corpus Christi becomes a destination spot for homeless. “It’s a balancing act. Citizens in Flour Bluff are concerned about safety and sanitary issues when they go to Parker Park,” said Smith, something that he said is a concern in most parks in the city. Smith went on to describe a homeless person becoming physical with a woman who was serving attendees at a local function. “From a policing standpoint, currently our department’s attitude is that we cannot solve homelessness. However, when we have someone who is physically aggressive, as a city, we need to strengthen that,” said Smith. Dan Hogan addressed petty theft around the neighborhood and its relationship to homelessness. “I call this a revolving door problem. We have these homeless people who get on drugs and become a nuisance to themselves and our community. When they get arrested, they get put right back out on the street,” said Hogan. “There has to be a solution in some city somewhere. Let’s figure out what to do about this,” said Hogan. “Let’s find out where those bus tickets are coming from and buy return tickets.” This drew many comments of agreement from the audience. Smith reminded everyone that we are coming upon an election year in 2018. “Council members are elected for two year terms,” said Smith. He cautioned everyone to be aware of candidates making promises that they cannot keep in order to get votes. “Usually, you get votes by spending money. When you cut, you lose a lot of votes. Commissioner Chesney is like I am. He stands firm on the budget. We have to make the hard decisions. It irritates people when you cut programs out, but sometimes these cuts are necessary. I will continue to ask those hard questions and make cuts where necessary,” said Smith. Joe Lynch, resident and local businessman, voiced a safety concern about the Laguna Shores SPID intersection. “Even a small vehicle has difficulty making that right-hand turn onto Laguna Shores without swinging out into the lane that goes up on the freeway,” Lynch said. “Sometimes the driver comes to a complete stop to let the Laguna Shores traffic go, which is dangerous for the driver pulling onto SPID because he doesn’t have a clear view.” Lynch suggested that the right turn lane on Laguna Shores be moved more toward the Laguna Madre to allow for the necessary space for safe turning. Lynch was concerned that someone was preparing to build on that property, which might prevent the movement of the lane. Smith thanked Lynch for his comments and said that Laguna Shores improvements will be on the 2018 Bond that will go to the voters next November. “That’s the kind of thing we need to catch before the design. You’re right. It is a problem,” responded Smith. Jennifer Welp asked about what seems to be a new fee implemented by the City Solid Waste Department right after Harvey. “It severely affects roofers and remodelers who have to haul debris or building materials,” said Welp. “You’re referring to the MSW (Municipal Solid Waste) fee. It’s been in effect since 2001. If a hauler like Matt, let’s say, is called by a roofer to haul the material, and he takes it to the city landfill, he pays the fee, a fee that is for street maintenance. If the roofer takes it himself to a private landfill, the fee doesn’t get paid. If Matt takes it to a private landfill, it was already in his bill, and the fee gets paid. Again, it was started in 2001, and the city staff picked right after Harvey to implement it, so it looks terrible. We’ve had a lot of complaints from the roofers who are paying about $200 when they ought to pay about $20. Staff is now going back and looking at what was charged and bringing those charges in line to what they ought to be,” said Smith. “Yes, it has been switched to the building permits from the landfill bill. They were supposed to be paying that at that time. We’ve heard a lot of justified concerns about it,” responded Smith. 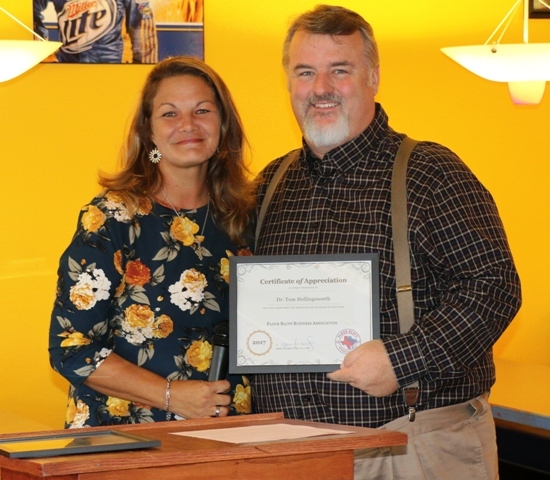 FBBA President Jennifer Welp thanked the councilman for addressing the FBBA and awarded him with a Keep It in the Bluff Certificate of Appreciation. FBBA elections were held at the November general meeting. Jonathan Vela of Dani’s Lock and Key, Javier Wiley with HEB Plus, and Roshan Bhakta of Candlewood Suites are candidates for the three open positions. Tom Hollingsworth and Cliff Zarbock will be stepping down from the board. President Jennifer Welp thanked them for their service and gave each one a certificate of appreciation. President Jennifer Welp welcomed three local businesses to the FBBA: Matt Eckstrom of Killian Calderon Disposal, Susan Chandler of SCC Jewelry, and Vandana Andrews of Andrews Flowers. Tire Recycling Program Recap: The FBBA partnered with Nueces County Commissioner Brent Chesney and DEGOLA Resource Conservation and Development District to offer a free tire recycling event on November 4, 2017, from 9 to 5. Lots of tires were collected, which really made an impact on the Flour Bluff community. The FBBA would like to thank Wes Womack and his 4-wheel-drive club for helping with collection of dumped tires. Another free tire-recycling event is planned for early next year. The FBBA Membership Drive is still going on. The FBBA thanked all who are members. All local business owners are encouraged to join in the last quarter of the year. The annual dues is $65.00, which can be paid online at https://www.flourbluffbusinessassociation.com/application . On Wednesday, December 13, 2017, the Flour Bluff Business Association will have their December Mixer at C’est Bon Seafood located at 10210 S. Padre Island Dr, Corpus Christi, Texas, from noon to 1:00 p.m. Come join us as we introduce the newly-elected FBBA board members and enjoy some good seafood while mixing and mingling with other Flour Bluff business owners. If you or your business would like to sponsor our mixer next month, please let us know. Kim Sneed, FBISD Public Information Officer, addressed the Flour Bluff Business Association at its regular monthly meeting held at noon on September 13, 2017, at Funtrackers in Flour Bluff. Sneed, who took Lynn Kaylor’s place nearly two years ago, has over a decade of experience in public information. Sneed spent the first part of her career with Corpus Christi ISD. Sneed introduced Tracy Dennis, the new Director of Instruction, who joined the district from Judson ISD before speaking to the group about what has been happening at Flour Bluff ISD. Sneed went on to give an accounting of the 2013 Bond projects. “A lot of our bond projects have been completed. We just finished up at the end of the year the Primary and Elementary library, and it is a beautiful facility.” She described the library as a place that houses books and study tables in the main area, while providing separate classroom and meeting spaces for the two campuses. “The junior high is still experiencing construction on the expansion of the cafeteria. This campus is also in the process of getting an additional gym. 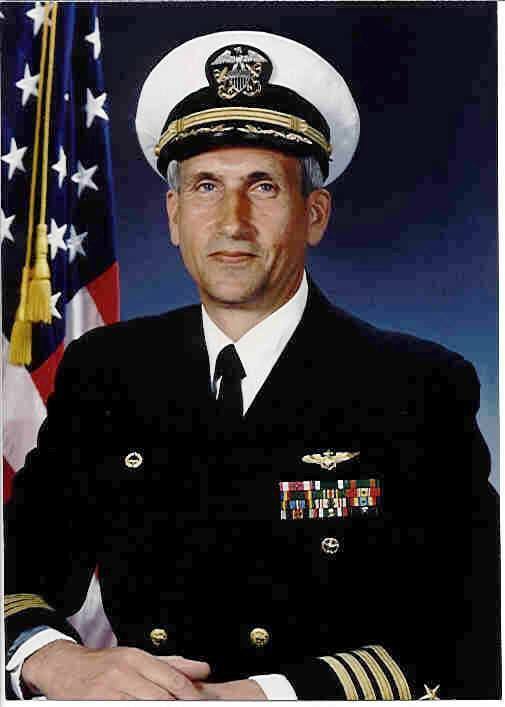 The bids were just accepted, and the work will be starting soon,” said Sneed. “Over the summer, the swimmers were able to get into the new natatorium and test the waters. That gave Coach Hutchinson, who is also the natatorium supervisor, an opportunity to learn the facility and learn to use the state-of-the-art equipment. They have been having practice in there. Brian wanted me to let everybody know that the district is working on a plan to allow swim lessons and lap swimming for the public. The first step to that is to make sure we have lifeguards.” Sneed went on to explain that more information regarding public use of the pool would be forthcoming in the next few weeks. She ended the update on bond projects by telling the audience that the bus wash would soon be under construction now that the board has accepted the bids. Sneed went on to tell of a conversation she had with a close counterpart in Gregory-Portland ISD. “As of today, they have enrolled 1300 kids. They were able to accept all of them because they just opened a new elementary school, and they have a sixth-grade campus – that had been a junior high campus – that they were able to reopen. It has been an entire Coastal Bend area effort to ensure that these kids have some sense of normalcy.” She went on to thank the City of Corpus Christi, AEP, and out-of-state utility companies that helped get the school back on line. Sneed thanked the joint efforts of Walmart and the Corpus Christi Police Department for donating school supplies and other groups who made certain the displaced children had appropriate clothing for school by donating spirit shirts to help them feel like part of the Flour Bluff family. The Port A ISD faculty and staff have been working hand-in-hand with Flour Bluff to look out for the children from Port Aransas and help them feel more at ease in their new environment. “We really appreciate their efforts,” said Sneed. “Football season has started! We only have three home games this year, and one of those is Homecoming on Friday, October 13. The Homecoming Parade will begin at 6:00 p.m. on Monday, October 9, and will travel along Waldron from Compton to Hornet Stadium where we will have the Swarm and the burning of the FB. There will be many activities for the students throughout the week, so look for that,” Sneed informed the group. “Mr. 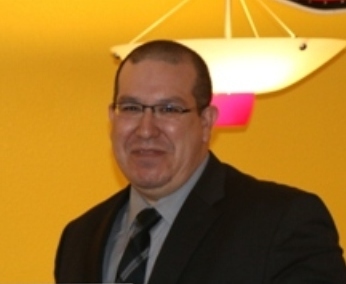 Schuss and Dr. Alvarado will be in Austin on Friday with intermediate math teacher Jack Marley as he receives recognition as the ESC Region II Teacher of the Year. Because of Harvey, the actual service center announcement and celebration was postponed but will take place on Thursday, September 21, at ESC II downtown,” added Sneed. Several people in attendance asked about the traffic issues. “We have had a few issues with new bus routes and just getting in sync the first days of school. We’ve also had changes in start and release times that have added to the traffic problems,” replied Sneed. She explained that many of the displaced students must be driven to school, which adds to the traffic problems. “To help alleviate some of this, the displaced students are going to be picked up at Schlitterbahn. We just ask for your patience,” said Sneed. Everyone was encouraged to check out flourbluffschools.net for more information. Flour Fest is October 28 at Parker Park. Volunteers are needed. Please contact Jonathan Vela, Special Events Coordinator. High school Homecoming Mums will be customized by the PTA for the displaced students. Add info@flourbluffbusinessassociation.com to your address book so that you can receive emails from FBBA. Javier Wiley from HEB told the group that the new Hornet football helmets are part of a donation from HEB. Curbside is now open as another shopping option. Shipt is also still available. Visit hebtoyou.com. HEB put in an official request to public affairs for disaster relief in Port A (i.e. mobile showers, mobile kitchens, mobile pharmacies). Wiley handed out $2000 in gift cards to Port A citizens and $1000 to Flour Bluff. Welp thanked HEB for always being the last to close and the first to open when disaster strikes. The FBBA is partnering with Nueces County and and organization called DeGoLa (Dewitt, Goliad, and Lavaca Counties), a Resource, Conservation, and Development District, to hold a tire recycling program event in Flour Bluff on Saturday, November 4, 2017, and again in March of 2018. 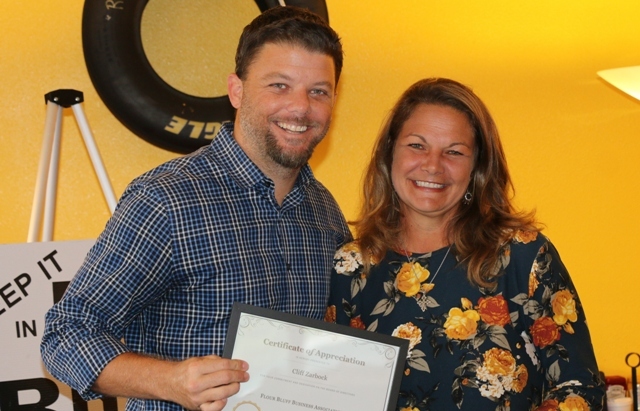 Flour Bluff Business Association president, Jennifer Welp, awarded the FBBA Keep It in the Bluff Spotlight Award to Lord of Life Lutheran Church Child Development Center. Karon McManus, director of the center, accepted the award on behalf of the church and the daycare center. 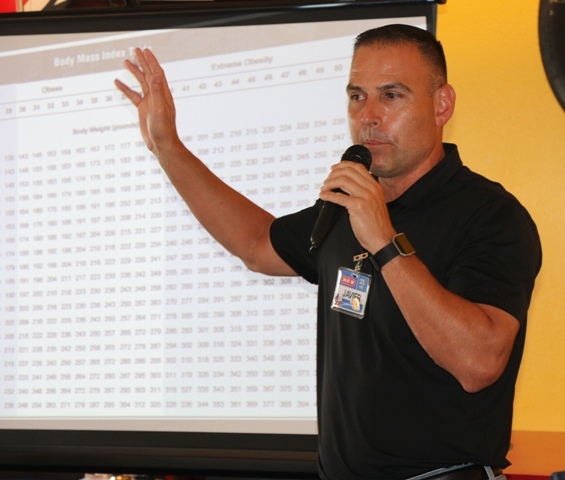 McManus took the opportunity to give a little background on the facility at the regular monthly meeting held at noon on September 13, 2017, at Funtrackers in Flour Bluff. “We run a Christ-centered facility. Parents are told on their tours of the center that Christ is first in everything we say and do. He’s the reason we open our doors every day, and we couldn’t do that without the support of Lord of Life Lutheran Church,” said McManus. She went on to explain that when the doors were opened to the church 20 years ago, it was with the daycare in mind to be an outreach to the community to share God’s Word and show His love. The center takes children ages 2 through 5 years. They experience a Christian environment that enhances self-esteem and fosters developmental growth. Included in the program is planned curriculum with art, music, drama outdoor play, excellent staff/child ratio, and experienced, qualified staff. Those interested in finding out more about the center may contact the church. 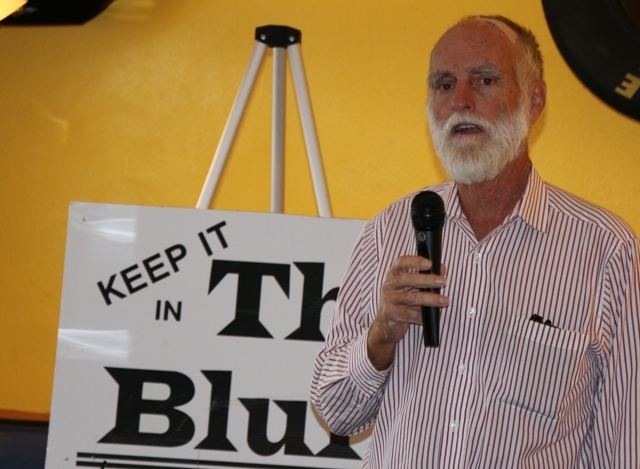 James “Jim” Moloney, businessman and local historian, took the members of the Flour Bluff Business Association on an entertaining trip back in time through the books that he either co-authored or co-edited with Caller-Times columnist, Murphy Givens, at the FBBA’s regular monthly meeting on August 9, 2017. Moloney, who moved to Corpus Christi in 1981, has the largest collection of local postcards of the area, numbering over 7000. He also collects ephemera from the area. The first book, Corpus Christi-A History, documents the stories of the people who strove to make South Texas their home. Adventurers, outlaws, settlers, cowboys, ranchers and entrepreneurs from the United States, Europe, and Mexico all came to the Coastal Bend of Texas, struggling against nature and their fellow man to make their homes and livelihoods. In this book, readers can also find some history on Flour Bluff. A Soldier’s Life, memoirs of Daniel P. Whiting, a loyal officer in the U.S. Army for three decades during the middle of the 19th century, now in print after 150 years. Welp thanked Brent Chesney and other county officials for donations to the FBBA. A special thank you was given to Michael Morgan of State Farm, Roshan Bhakta of Candlewood Suites, and Dr. Mohamad Hassan of the Corpus Christi Children’s Center for being Level 1 sponsors of Flour Fest, a community festival that will take place on Saturday, October 28, at Parker Park in Flour Bluff. She encouraged everyone to get involved in some manner (i.e. sponsorship, vendor booth, running an event). Cost to vendors is $25 for FBBA members and $50 for non-members. Welp welcomed new FBBA members Adam Hollier of C’est Bon (It’s Good), Kim Pendergraft of A&A Insurance on the island, and Harvey Conol with Lord of Life Lutheran Church Child Development Center. Note: The Raceway Cafe’ will not be open for lunch, but Funtracker’s has graciously allowed everyone to bring their own food with them. 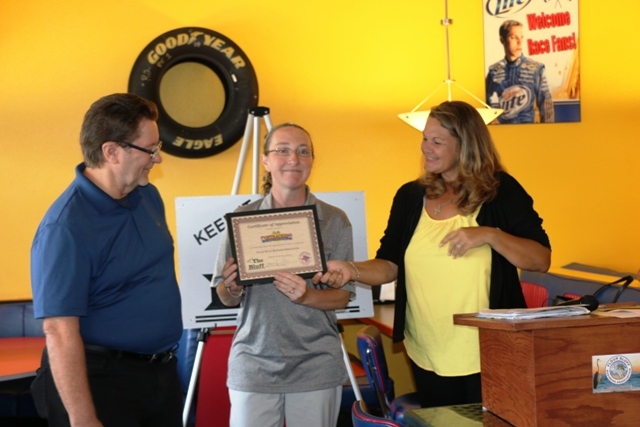 Javier Wiley, General Manager of HEB Plus in Flour Bluff, received the Keep It in the Bluff Spotlight Award from Jennifer Welp, President of the Flour Bluff Business Association, at the regular FBBA monthly meeting held at noon on July 12, 2017, at the Raceway Cafe’ at Funtrackers in Flour Bluff. “We want to thank Javier for his dedication to our community,” said Welp. Wiley had several announcements concerning upcoming events and changes at the Flour Bluff HEB Plus. “Our ten-year anniversary is coming up Saturday, July 29, when we’ll have a small celebration. Really, it’s a customer appreciation day. We’ll have a lot of good things going on that day from 11:00 to 4:00. Of course, we’ll have a lot of good food,” said Wiley. “The other big thing that’s going on is the construction of Curbside,” continued Wiley. He explained that this will be yet another option for shopping at HEB. “We have a lot of different options today. I want you to think about three options: ship to home, ship to the store, and then curbside. We have Shipt and Instacart in the store; these are third parties who contract with retailers. It’s all about convenience. Everyone is in a hurry today,” said Wiley. “Curbside HEB is coming. They’re under construction today,” said Wiley as he introduced the newest shopping experience for HEB customers. “We’re looking to open before Labor Day. Basically, you’ll shop online. We’ll have our partners in the store, whom you trust, shop for your groceries, and we’ll deliver it to your car as soon as you drive up,” he explained. There will be a $4.95 service fee, and the prices of the groceries will be relatively the same. Ad prices will be identical. According to the HEB website, the shopper simply creates a grocery list, submits an order, selects a pick up time, arrives on time, and picks up the order. All orders are backed by the H‑E‑B low price and freshness guarantee. Curbside is currently available at the Staples and Saratoga HEB Plus. “This is exciting, and I will probably be your first customer,” said Welp, adding that she was looking forward to attending the 10-year anniversary celebration on July 29th. HEB Plus (CC18) is located at 1145 Waldron Road in Flour Bluff. The store is open daily from 5:00 a.m. until 1:00 a.m. For more information, call 361-939-5500 or visit the website. For more information about the park or to book your event, visit the website at www.funtrackers.com, call directly (361-937-9400), or stop by and visit with the staff at 9605 S. Padre Island Drive, Corpus Christi (corner of SPID and Flour Bluff Drive). Javier Ramirez, financial advisor for Edward Jones, received the Keep It in the Bluff Spotlight Award from the Flour Bluff Business Association at its regular meeting held May 19, 2017, at Funtrackers in Flour Bluff. “Flour Bluff has always been very near and dear to my heart,” said Ramirez upon receiving the award. Ramirez’s office is located 10241 South Padre Island Drive, Suite 135. He can be reached by calling 361-939-7572 or emailing javier.ramirez@edwardjones.com. Visit the website at https://www.edwardjones.com/javier-ramirez to attain additional information.